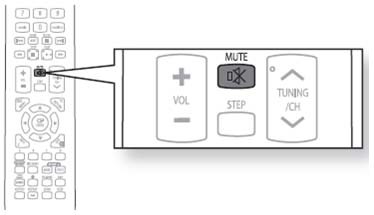 How do I use the mute function on my remote control ? 1. Press the MUTE button. 2. MUTE appears in the display. 3. To restore the sound, press the MUTE button again.